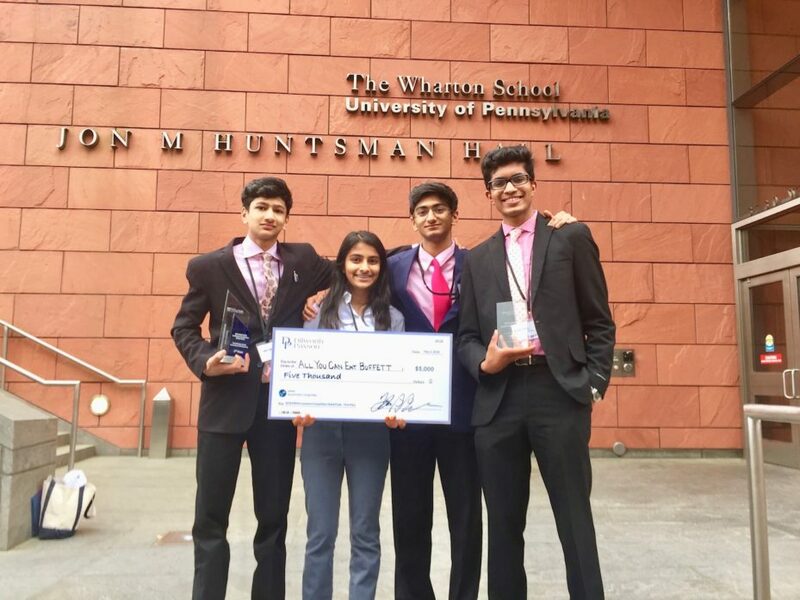 More than 100 high school students, along with their families, advisors, and mentors, traveled from around the world to Wharton’s Philadelphia campus to participate in the 2018 KWHS Investment Competition Global Finale on May 5. They were all soon reminded of another journey, the one that brought them to that moment on the 8th floor of Wharton’s Jon M. Huntsman Hall. Ten weeks of team trading, deliberating, and strategizing, resulting in the submission of 300 final investment reports. Two regional finals in India and China, providing the top six teams from those countries the opportunity to travel to the Global Finale and compete against students from Brazil, Canada, Denmark, Malaysia, Norway, the United Kingdom and the United States — 18 top teams, all prepared on May 5 to give the 10-minute presentations of their lives. They would go in front of a panel of six industry experts, several representing the day’s sponsors – Aberdeen Standard Investments, Dechert LLP, Dilworth Paxson LLP, Finclusive Capital, Principle Quest Foundation and UBS — in hopes of winning the title as the competition’s most savvy, reliable, and creative asset-management team. Each PowerPoint or Prezi-supported presentation, delivered by four to nine students, communicated the group’s unique investment strategy, as well as summarizing its competition experience, takeaways, and team dynamics. 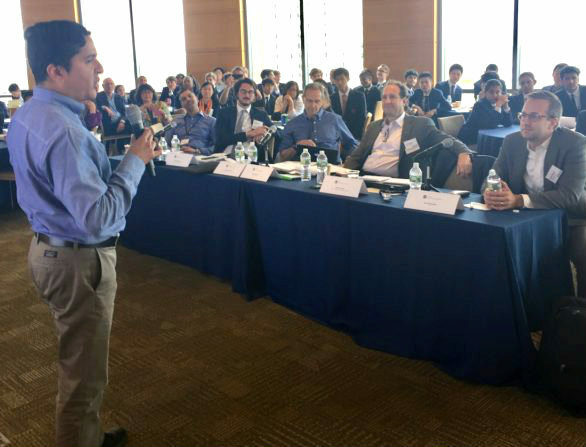 In the allotted time of 10 minutes to present and five minutes for questions from the judges, students articulated their tactics and tools, incorporating details about proprietary algorithms, top-down, bottom-up analyses, risk attenuation and yield capitalization, qualitative and quantitative approaches to stock selection, Porter’s Five Forces and SWOT evaluations, and more — all guided by a long-term, client-focused mindset. The day’s winners were especially strong on content and creativity, punctuated by strategy pitches that dazzled the judges on a professional level. (From left) Sachin Muralidhar, Maansi Taori, Sid Muralidhar, and Suchet Taori, members of Team All You Can Eat Buffett from Great Falls, Virginia, won top honors both globally and regionally. Take, for instance, the team who took home the first place global prize: All You Can Eat Buffett. Their unique team investment strategy included a self-created, machine learning-based natural language processing algorithm that used news outlet information to predict stock market trends. The team’s multi-layered presentation incorporated humor and even the results of a direct outreach to competition client Jack Abraham. The Alchemy of Investments team from Amity International School, Noida, India, took second place in the global competition, led here by chief investment officer Jahnvi Vig. Scion Capital — who came in third place — communicated a strong client-first philosophy and brought in its team leader, Mohammad Darvish, at the end via video conference for a compelling Q&A with judges. Darvish, an Iranian citizen, was unable to secure a visa to travel to the U.S. for the competition finals. This competition has been a great learning experience, indeed a roller coaster ride, reflected Jahnvi Vig, student team leader and chief investment officer for India’s The Alchemy of Investments. While the teams’ exploration of new knowledge and financial concepts was, at times, challenging, it was nothing compared to the task laid out before the Global Finale judging panel – to select winners from among a passionate room filled with imposing young minds and hearts. Following the presentations, the judges offered a few thoughts on the day. “Chris Demetriou, Aberdeen Standard Investments’ CEO who was speaking here this morning, came right over to me and assured me that my job was definitely under threat in the next year or two,” quipped Iain Gillespie, corporate strategy manager for the Americas at Aberdeen Standard Investments , alluding to the students’ talent and out-of-the-box thinking. The importance of financial knowledge is a key message of the KWHS Investment Competition, as well as the broader Knowledge@Wharton High School initiative, which promotes business literacy and financial literacy globally among high school students and educators through content, competitions and seminars. Financial education and access emerged as a theme that shaped the tone of Saturday’s event. Drawing comparisons to his firm’s work related to racial inequality and the landmark Brown v. Board of Education school segregation case, Dilworth Paxson partner John Squires suggested that financial illiteracy is the separate-but-not-equal and disparate impact that is befalling today’s global citizenry. Many investment competition teams have already started doing just that. Pied Piper Investments of Noida, India, for example, spreads financial literacy through its Piper Press newsletter, while neighboring team The Alchemy of Investments conducts community outreach on financial education through in-class visits and even a TED Talk on personal finance skills. Countless teams involved in the competition, both finalists and otherwise, have started investment clubs in their schools to develop their passion for investing and promote financial engagement and knowledge among their peers. 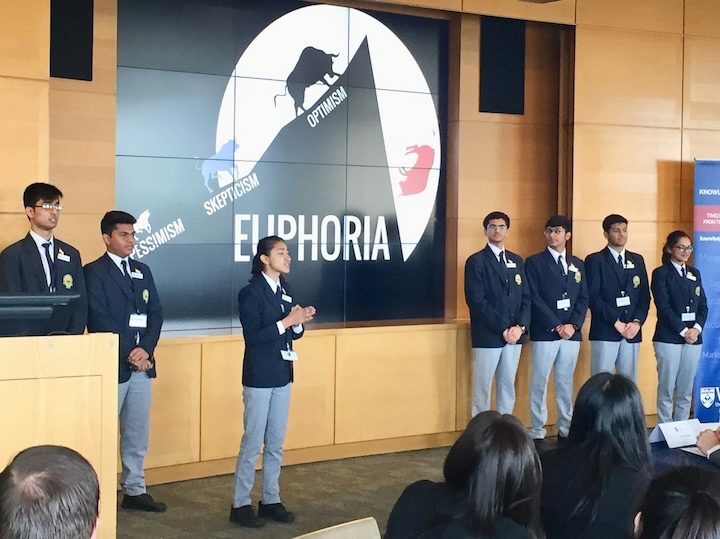 Sid Muralidhar, team leader of regional and global winning team All You Can Eat Buffett, counted a focus on financial literacy among his most valuable takeaways from his KWHS Investment Competition Global Finale experience. “We met and befriended some extremely talented students from across the world – from a team in our home state of Virginia, to a team in Norway, and teams in India and China – and were very proud to be amongst them as finalists,” noted Sid, who is a senior at Thomas Jefferson High School for Science and Technology in Great Falls. The Knowledge@Wharton High School Investment Competition is a free, global, online investment simulation for high school students (9th to 12th grade) and teachers. Students learn about teamwork, communication, risk, diversification, company analysis, industry analysis, and investing. Teams consist of four to nine students, and classes can have several competing teams; student-led investment clubs and home-schooled teams are also encouraged to participate. Each team manages a portfolio of $100,000 in virtual cash over the course of 10 weeks using Wharton’s online trading and investment simulator (OTIS). Finalists are selected on the strength of their unique investment strategies. Chosen from exceptional high school teams around the globe, the 18 top teams faced off at the Global Finale on May 5.